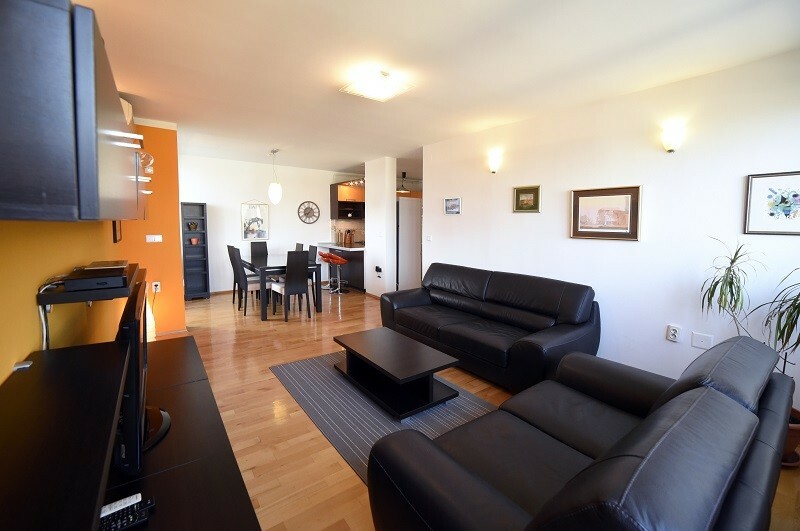 Centrally located in favourite neighbourhood Trešnjevka, just 15 minutes walking to center of the city. 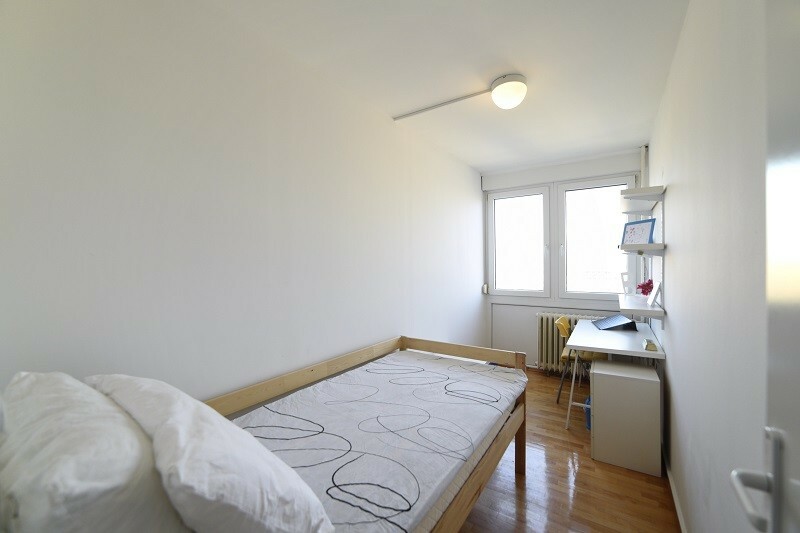 This apartment is close to major faculties and companies. 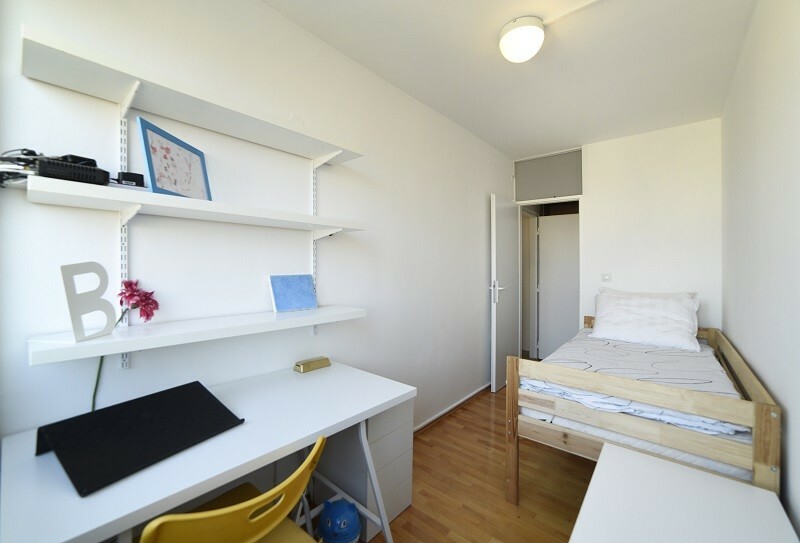 It's fully equipped flat with 3 bedrooms: two single bedrooms and one double bedroom. 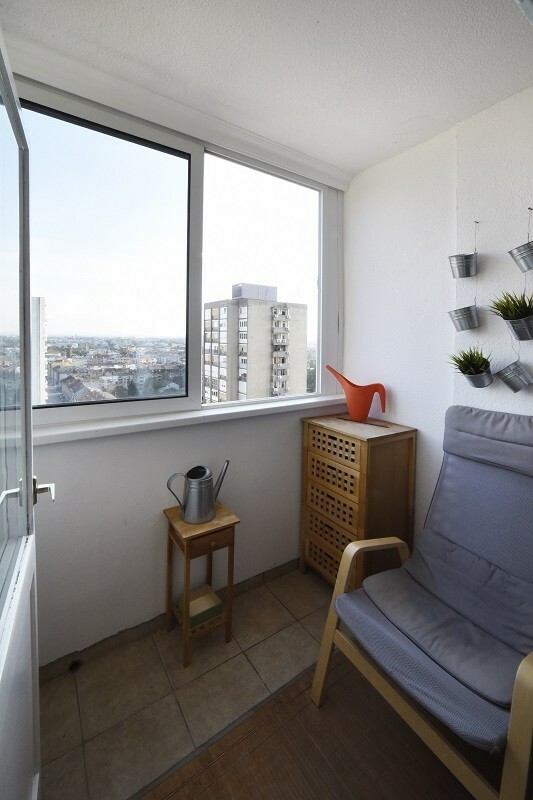 Flat consists of entrance hall, open space kitchen, dining space, living room with sofa, bathroom with bathtub, small balcony and 3 private rooms. 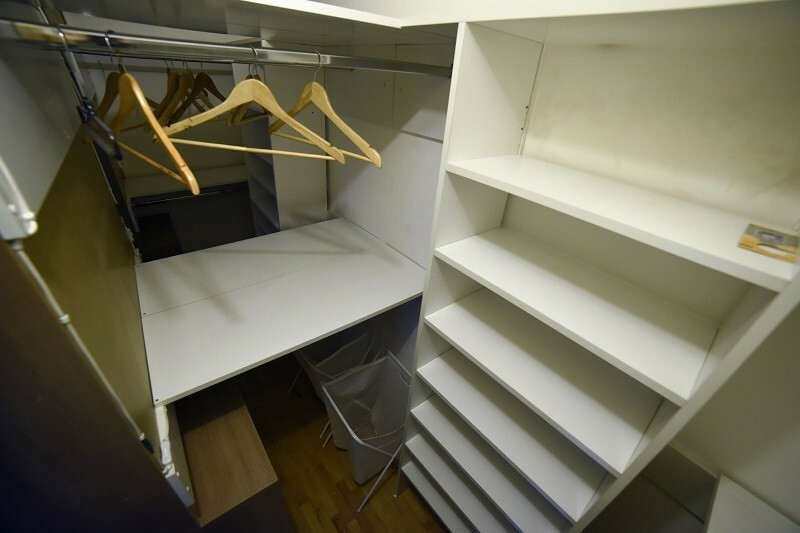 There is also a small storage room in the flat. 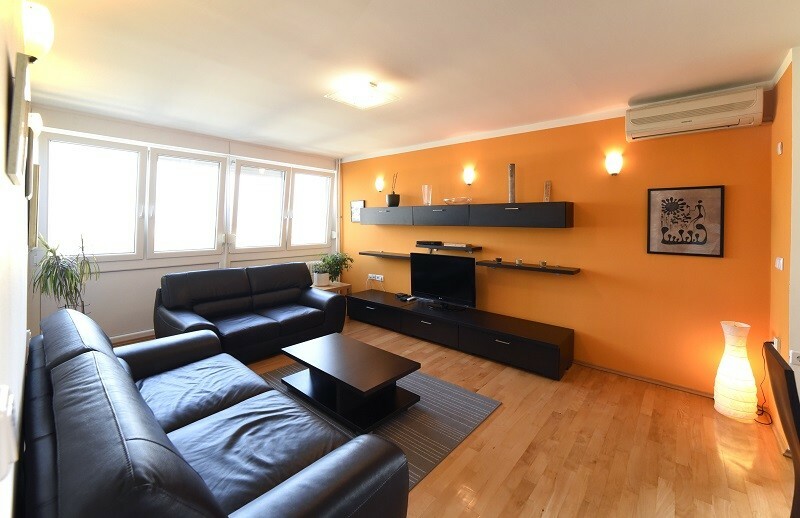 Apartment is equipped with AC, central heating, cable TV, free WiFi. 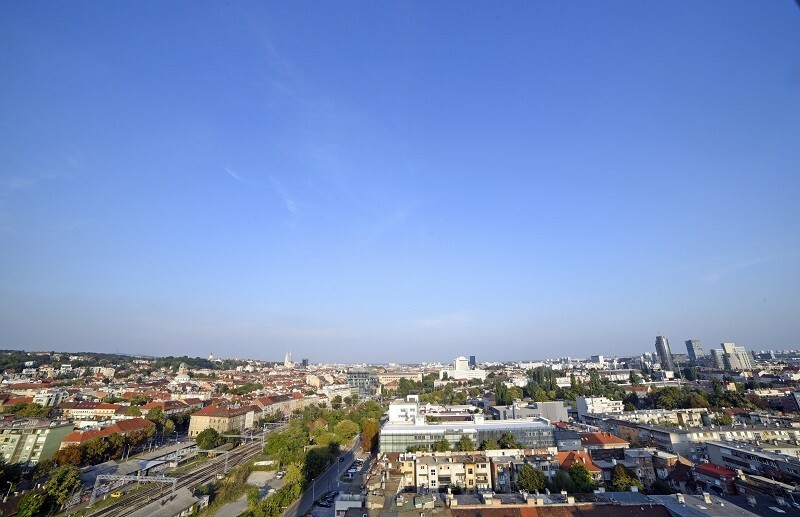 Is on the 15th floor so you will have amaizing view of central Zagreb. 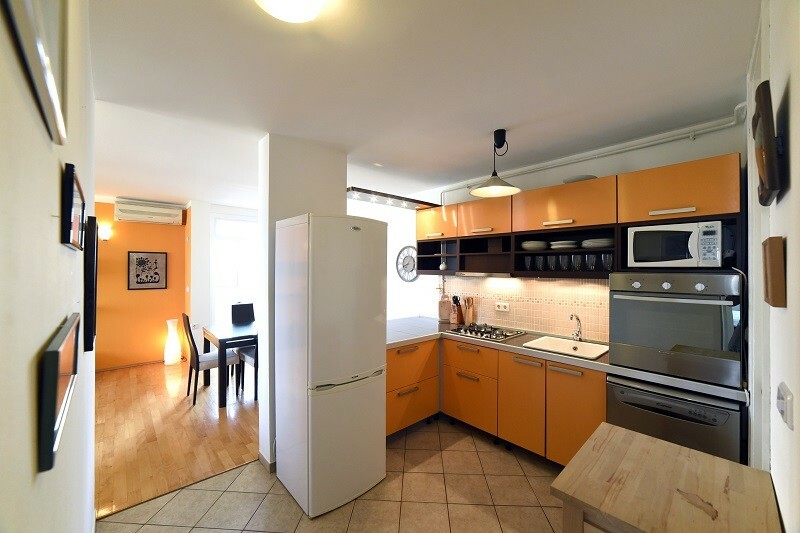 In the kitchen, there is full equipment for preparing a meal as cooking pot, pans, cutlery etc. 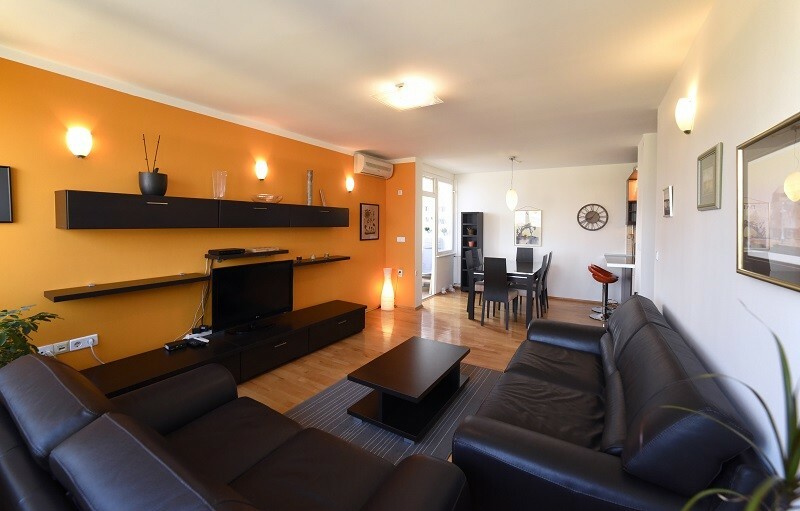 Apartment is located in central part of Zagreb. Main square is only few minutes away by tram. There are restaurants, markets, bakeries and tobaccos just around the corner. 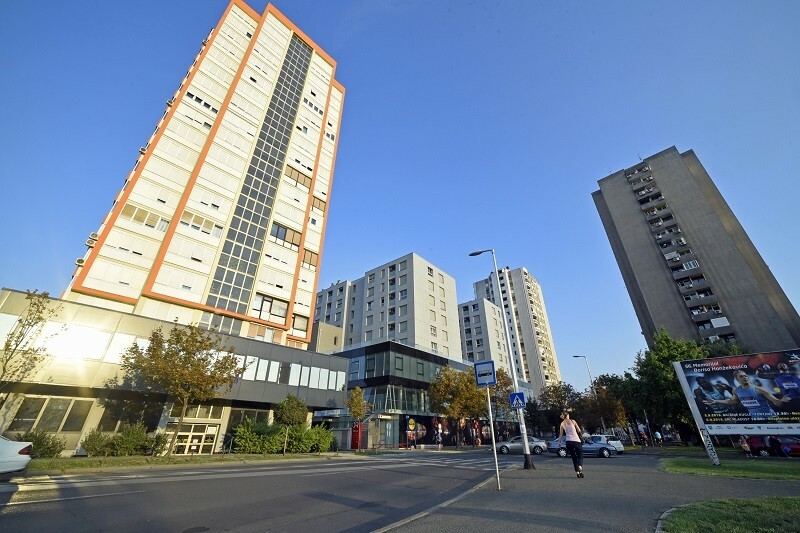 Direct tram lines conects main square, train or bus station in quick time. 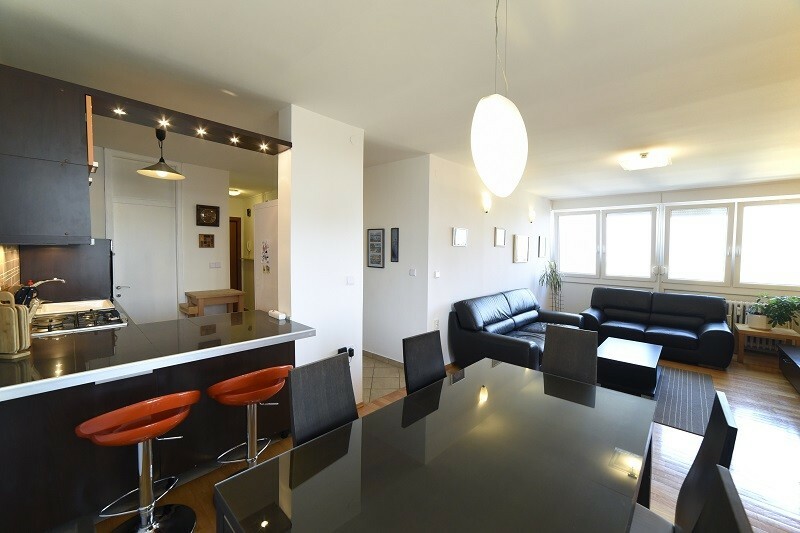 We also offer short term possibilities in various flats, our company manage short term apartments in central Zagreb. 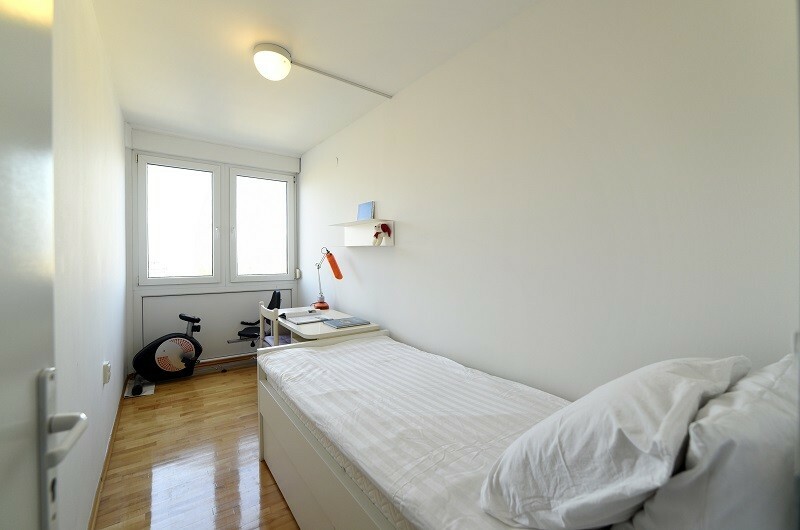 Bills are aprox 50-60€ per month, depends on usage. 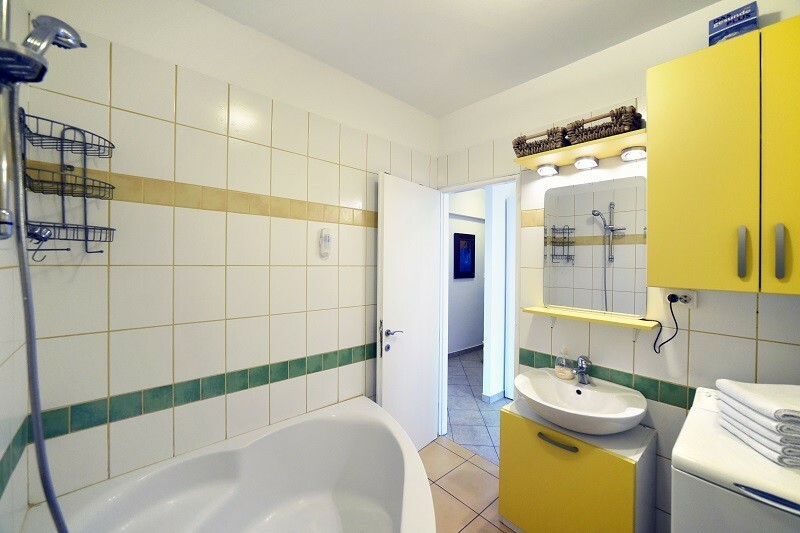 Reservations possible only with guarantee deposit.